As well as the Baldovie factory workers, he is expected to talk to staff from McGill, the construction firm which collapsed last month at a loss of nearly 400 jobs. Staff at the doomed Michelin plant have been told that Mr Corbyn is likely to drop in on Saturday morning. The party’s UK chief, who is in the city for the Scottish Labour conference, is to be briefed on possible future plans for the Michelin site and to chat with staff about their futures. Tayside and Fife has suffered a series of employment setbacks of late, including the mothballing of BiFab’s Fife yards. The Scottish Government says it has been working closely with Michelin to repurpose the site to retain skilled jobs and to help secure work at the BiFab sites. Delegates backed an emergency BiFab motion on Friday by unions angry at the unfair competition they face with overseas firms for Scottish renewables contracts. In his speech on Friday, Mr Corbyn said it is workers who will deliver the change to “rewrite the rules of the economy”. He also backed those taking strike action, such as home carers fighting changes by Dundee City Council to their working conditions which includes split shifts. 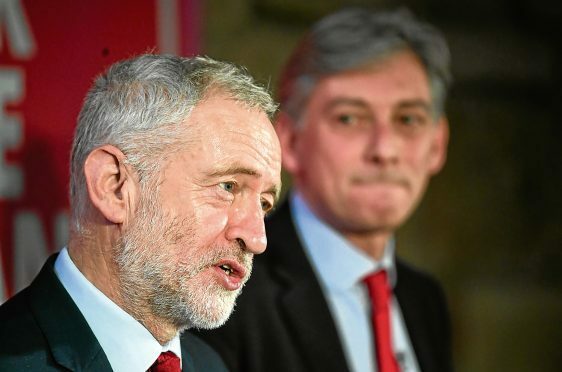 He told conference: “I want to send my solidarity to the council homecare workers here in Dundee from Unison, Unite and the GMB who recently voted in favour of action in a consultative ballot because of the attacks on their terms and conditions. “And Richard, and the Scottish Labour Party, have been steadfast in backing workers at Michelin, Kaim, McGill, and St Rollox. In November, Michelin confirmed the Dundee plant, which has a workforce of 845, will close by mid-2020 after 47 years in the city.